May the verse be with you! Inspired by one of the greatest creative minds in the English language - and William Shakespeare - here is an officially licensed retelling of George Lucas' epic Star Wars in the style of the immortal Bard of Avon. The saga of a wise (Jedi) knight and an evil (Sith) lord, of a beautiful princess held captive and a young hero coming of age, Star Wars abounds with all the valor and villainy of Shakespeare's greatest plays. 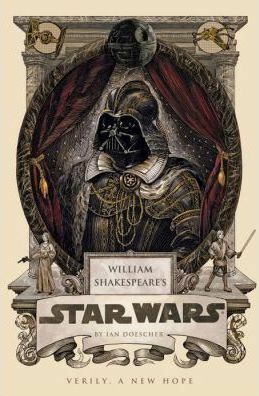 Reimagined in glorious iambic pentameter, William Shakespeare's Star Wars will astound and edify learners and masters alike. Zounds! This is the book you're looking for. To a Star Wars ne'er seen before"
Ian Doescher earned a B.A. in music from Yale University, an M.Div. from Yale Divinity School, and a Ph.D. in theology from Union Seminary. He currently works for a marketing agency in Portland.